without additional driver. It’s convenient and helpful for your limited space. Support USB 3.0 Super Speed mode max 5Gbps. 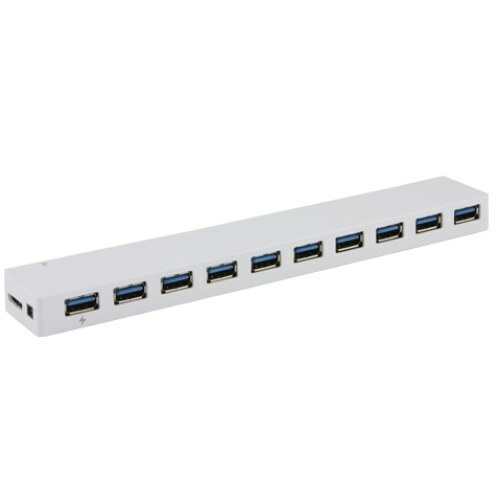 Support connecting seven USB devices simultaneously. Backwards compatible with any USB 2.0 enabled computers and notebooks. 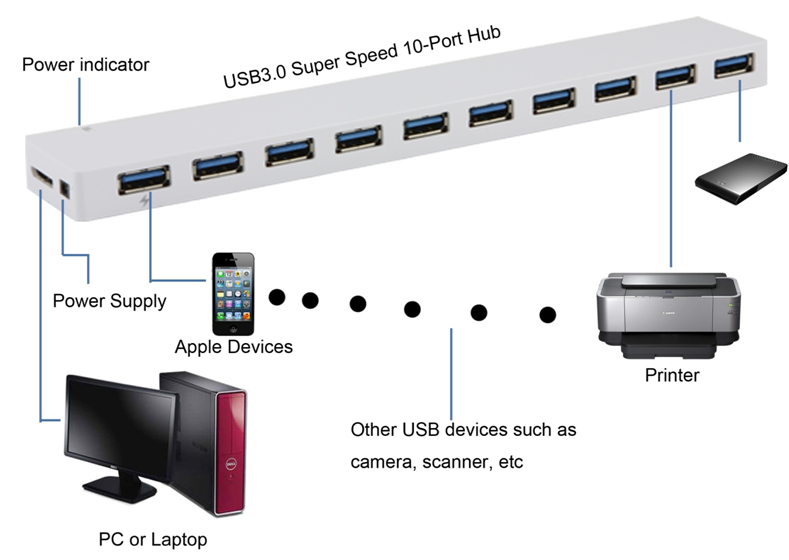 To achieve USB 3.0 transfer speed, a USB 3.0 interface card with a USB 3.0 cable is required. Support OS: Window Vista, Window XP, Window Me, Win2000, Windows 7, Windows 8, Mac OS X v10.8. The first port can be used to charge for Apple devices.